This is what Ada and Josie found at Home Depot. I hate going to Home Depot. I immediately turn into a zombie under the warehouse lights and can never find what I came in for in a timely manner. We went only to the outdoor garden section this weekend to find some seeds and plants for our ‘window box’ (aka air conditioner guard). The girls ran around gathering fallen flower heads from under the displays. Ada cannot come home from Home Depot without pockets full of stray nails, screws, pieces of wire. Her trash treasure collecting annoys me most of the time – especially after I wash her jacket and realize that it contained piles of dry leaves. 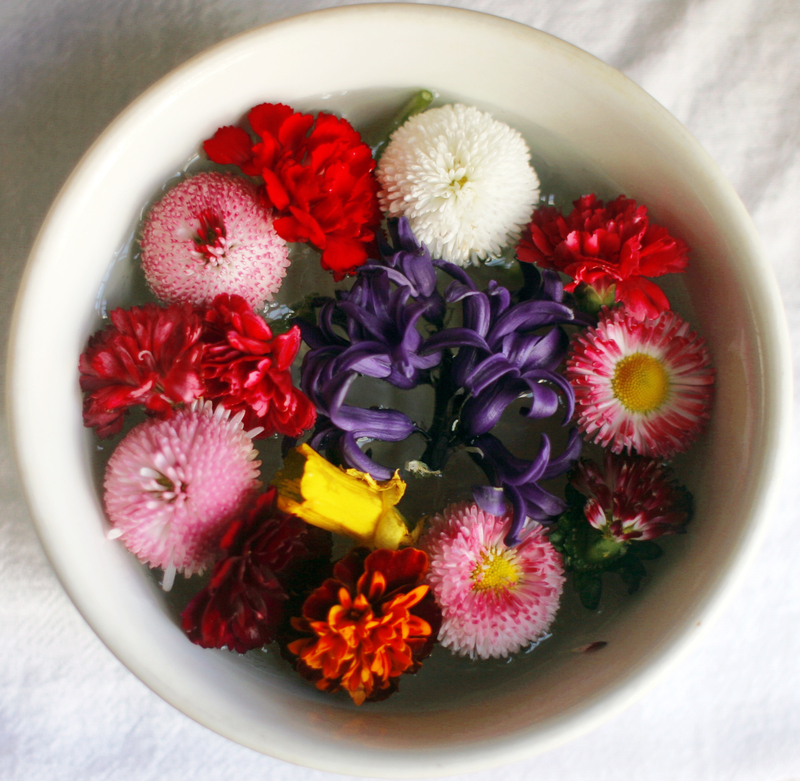 When we got home she and Josie handed over the pile of flowers they had collected and asked that I put them in a bowl. It looks lovely on the table, this magpies’ pile…I should remember that this love of found things is in their blood.